Conspiracies are far more exciting than natural causes. Conspiracies provide mystery and protagonists we can fight against. It is easy to draw the battle lines of war against a well-defined foe. But what if we are waging war with a myth? In that case, all our weapons are being jettisoned on a paper target. American Christians have been waging cultural wars against a mythic force that has supposedly robbed America of our founding principles of freedom. We believe our faith is being stolen from us by a myriad of groups working together to de-Christianize America. It is expected for believers to look for a designer behind all things, whether that be God, man, or the forces of darkness. But what if our American problem is not caused by the presence of a designer, but the lack of design? Perhaps we are experiencing the mounting problems of a nation that has lost its spiritual heritage because believers stopped replicating that heritage in our own lives. We took for granted that a biblical civilization could not continue without Christians in its high places of culture. American evangelicals became enamored with the return of Jesus as an escape from the problems of the world, and stopped being the solutions to our national problems. Schools, hospitals, and even our government is a product of a Christianized worldview. None of these things can be sustained without the practical teachings endemic to Christianity. We only preach enough Jesus to get people saved, but not enough to undergird our economy, educational institutions, health care, and government. The only reason secularists run all of these institutions is because we stopped thinking like Christians. God gave man dominion over the world. Non-Christians aren’t doing something wrong by shaping culture. They are doing what humanity is designed to do. We expend a lot of energy trying to get them to stop, instead of leading the way by demonstrating the Kingdom in every facet of life. America did not exist when Jesus gave the Great Commission. It is, in many ways, a product of that Commission. But even if America were the most desolate place on the planet, the Kingdom of God demonstrated by the Body of Christ can transform it into a great nation. There is no nation, city, town, or community on this planet that is too dark for the Kingdom to completely transform. 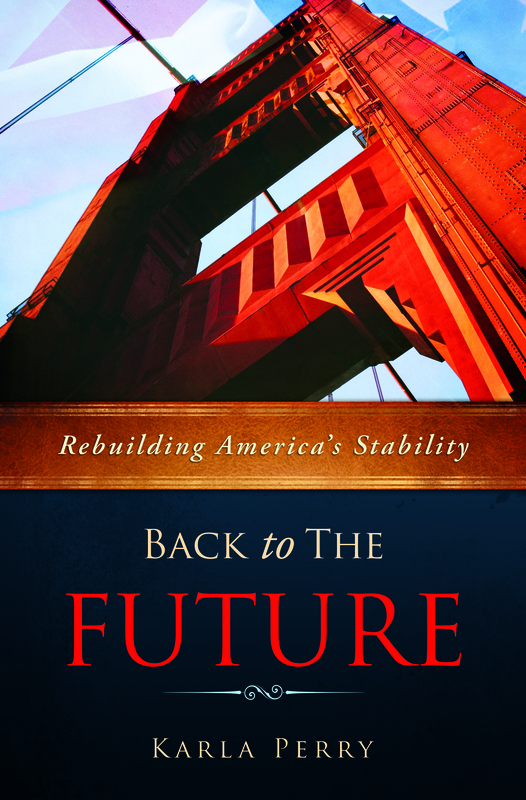 My new eBook, Back to the Future: Rebuilding America’s Stability outlines key points where we went off road as a nation. It is important not to levy blame at any institution, government, or persons for our divergence. America is a nation of the people and by the people, which means we all bear responsibility for the state of our nation. No force, natural or spiritual, can stop the advance of the Kingdom of God. Our weapons are not of this world, and neither are our enemies. I hope that my eBook will inspire readers towards developing solutions rather than providing more fodder for offense or attack. Together we can rebuild our foundations and secure a better future. To purchase your copy please visit MorningStar’s on-line store where you can download my book.